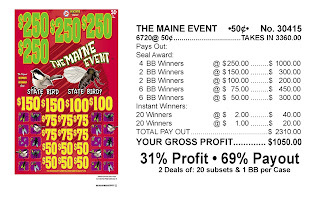 Bonanza Press (www.bonanzapress.com) has been creating and manufacturing high-quality, entertaining and profitable charitable and social gaming products for over 30 years, specializing in short-run, custom games. 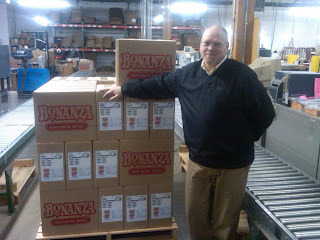 Bonanza tickets are used throughout North America, backed by recognized creative team, knowledgeable sales staff and people who love what they do and serving customers. 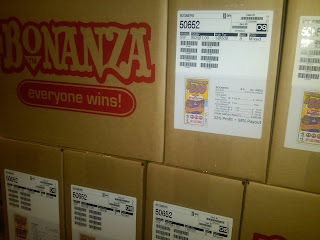 As a producer of hundreds of creative, colorful games, Bonanza wanted to improve the look of their labels. Historically, Bonanza used thermal transfer printers to produce black only barcodes and text. 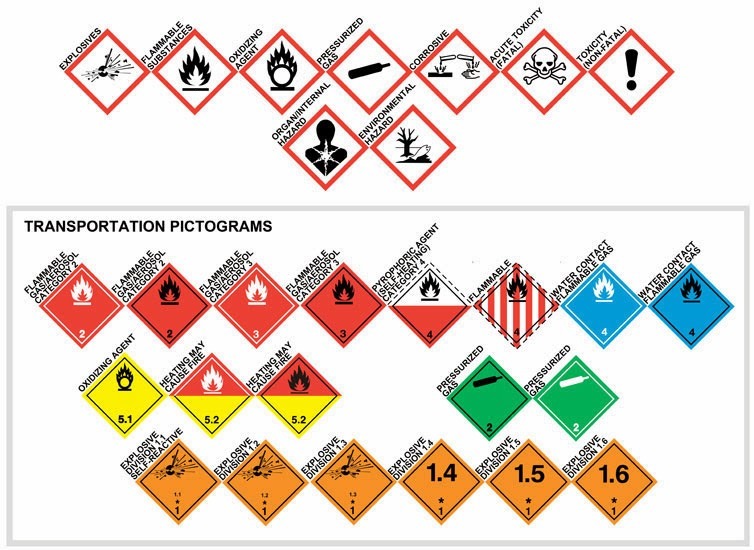 Using these labels, however, caused problems internally and for their distributors. According to Richard Norris, President of Bonanza Press, “As we produce a large number of different games, it is very difficult for our distributors and even our employees to know exactly what game is inside the case looking only at the text and a number on a label”. To improve this situation, Richard went looking for a print on-demand color label solution; and found after some time the Epson TM-C3400. Once they had the printer, Bonanza had difficulty finding media that worked. “We tried a variety of media, including the labels we use with our thermal transfer printers. None of these labels worked until we received media designed for the inkjet printer” said Richard. 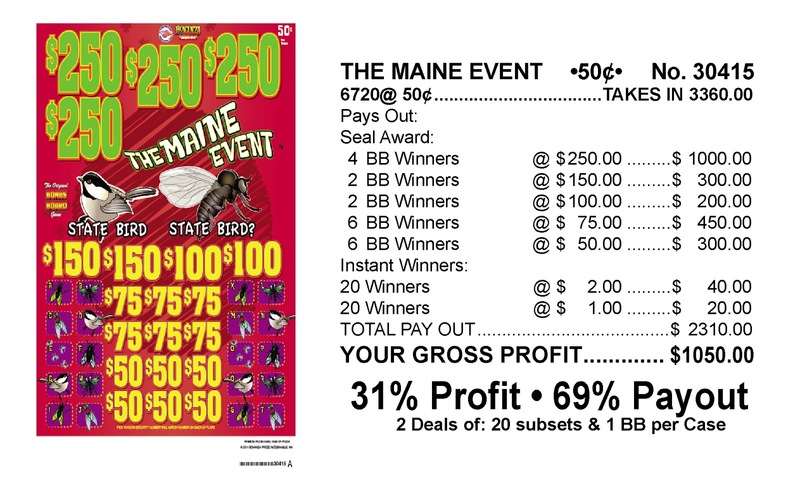 For the new on-demand color labels, a Bonanza designer created PDF’s with an image of the game as well as the revenue and profit % for every game. 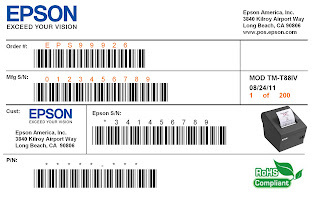 As the games are produced, Bonanza created a simple application to select the correct PDF to print locally at labeling solution. Since adding the new labels, Bonanza has found their sales have increased. 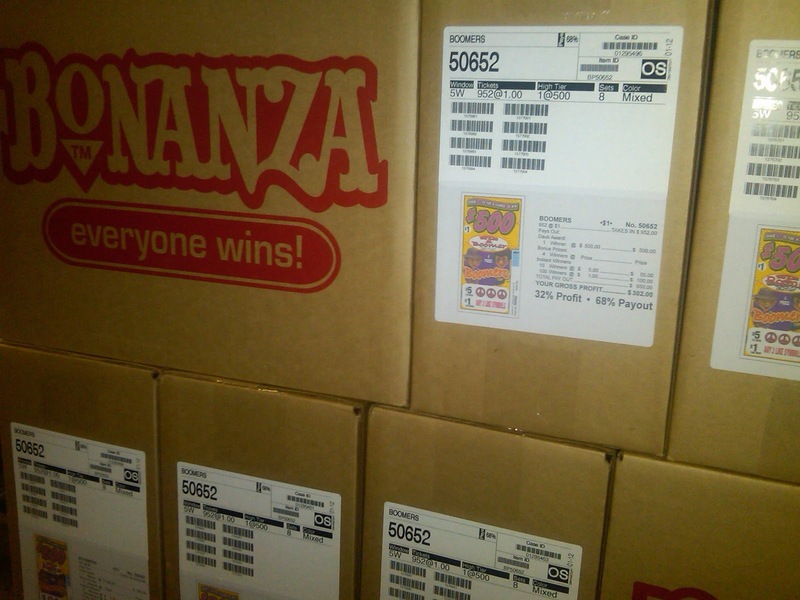 “With the images on the labels, our distributors find and pick games in their warehouses easier and faster. This picking advantage has increase our sales” according to Richard. 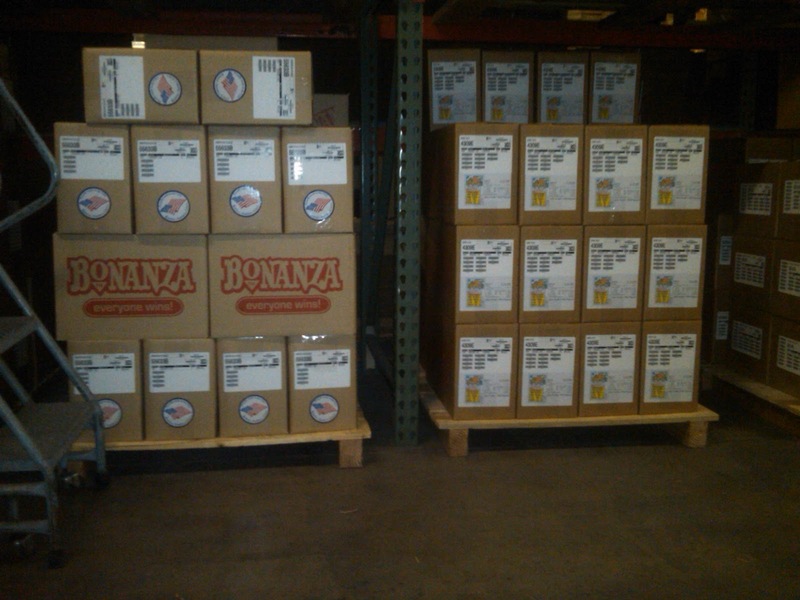 In addition, Bonanza will add on-demand color labels to other products. In one label application, Bonanza uses 22 different colors as names for their games. In the near future, Bonanza will produce the text in these labels in color also. For companies like Bonanza, print on-demand color labels can improve business processes, such as picking, both internally and for their customers. These new processes can not only save money; but may even help increase sales like Bonanza experienced. 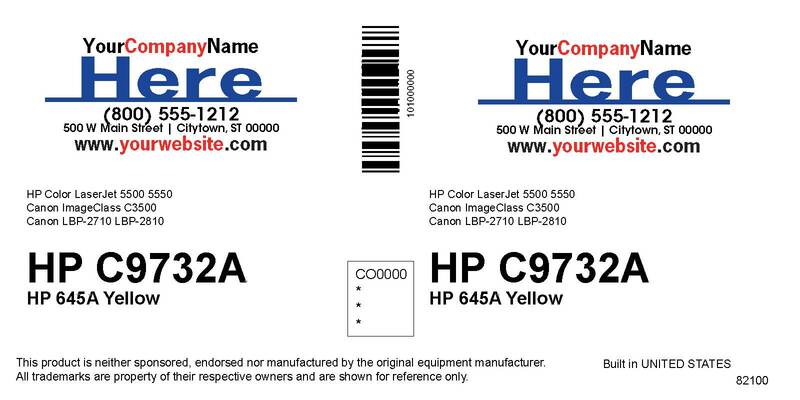 Be sure to help your customers by recommending print on-demand color labels. 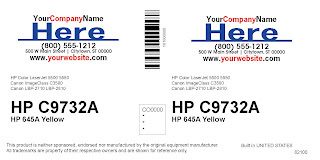 InkCycle, www.inkcycle.com, a cartridge remanufacturer in Lenexa, Kansas, was struggling with the question; how to produce high quality, print-on-demand color labels without increasing their inventory or waste labels. With a customer base ranging from small office and computer product resellers to national chains and office product superstores, they required a solution that could work for their entire customer base. 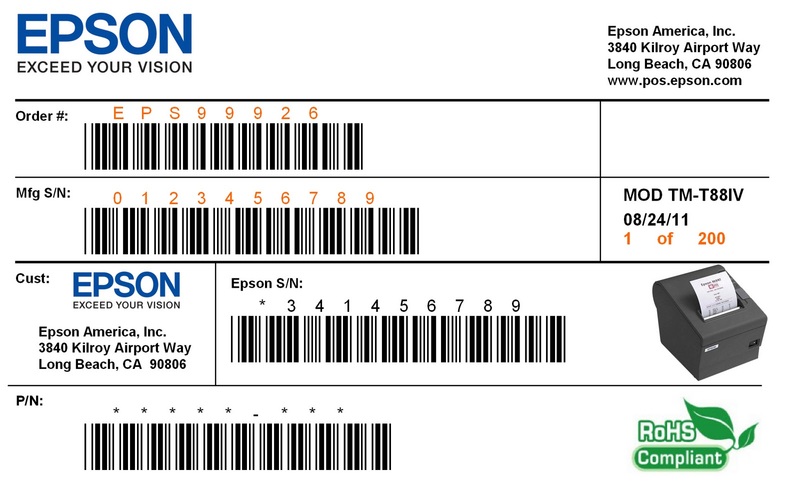 The labeling system InkCycle was using involved producing individual product labels for a large number of SKU’s on a color HP laser, sheet-fed printer. These labels included static data (template identifiers), variable data (part numbers, product descriptions, cross references), and each customer’s custom black and white logo. “The laser printers handled only sheet fed label stock making printing and applying labels difficult for the operators and creating lots of waste. Depending on the production run, we would need only a few of certain labels, causing us to waste the remainder of the sheet,” said InkCycle Product Manager, Bob Ehlers. In effort to reduce the wasted labels on the sheets, as well improve the look of the label, InkCycle tested an on-demand color label printer from Primera that used labels on a roll. The initial test prints looked good, but proved problematic, as the printer expanded the data files significantly; from 200 kb to over 15 MB’s. Bob went on to observe that “the printer did not have an Ethernet option and did not work well with our label design package from Loftware.” InkCycle knew Primera was not the color label printer for them, and continued to search for an alternative. 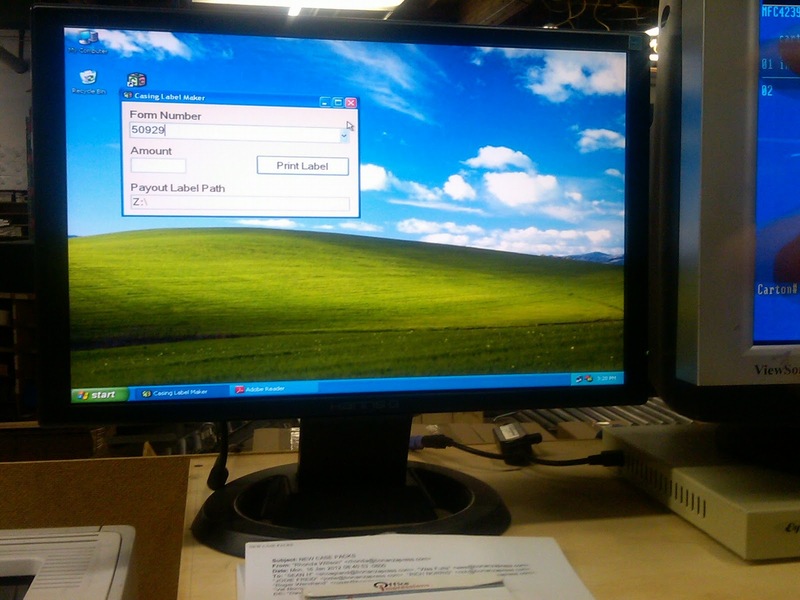 After providing a demo TM-C3400 to InkCycle, Terry contacted me to discuss how the testing was going. He said the demo performed well, and that he had both good and bad news for me. “The good news is,” he began, “InkCycle tested the Epson printer across their network using the same file format they had trouble with before, and they absolutely loved the printer.” He went on to tell me the bad news: “Someone is going to have to wrestle them to get the demo printer out of their possession.” InkCycle’s customers loved that the new labels produced their logo in color, as opposed to the monochrome logos of the past. Do you have customers like InkCycle who need great-looking, print-on-demand color labels from a printer compatible with their current network and label program? Consider the TM-C3400. Thanks to Crown Packaging for recommending the right alternative. Recently, three manufacturers decided NOT to allow me to use their names, pictures and labels in my blog postings. Although not understanding the downside, I felt obligated to follow their wishes and not release their names in the blog. But I can tell you about their applications. These three manufacturers have developed new solutions using on-demand color labels; that you may be able to sell. Let me tell you more. First, I know manufacturer of filtration products for the automotive, paint, coating, adhesive, plating, ink & chemical industries. With the launch of a new product line, the company decided to create an entirely new appearance for their packaging and labels. “We saw a big opportunity for our new products; and wanted to establish a premium position” stated the buyer for the company. “With the decision to use premium packaging, we had to find a means to produce color labels on demand”. 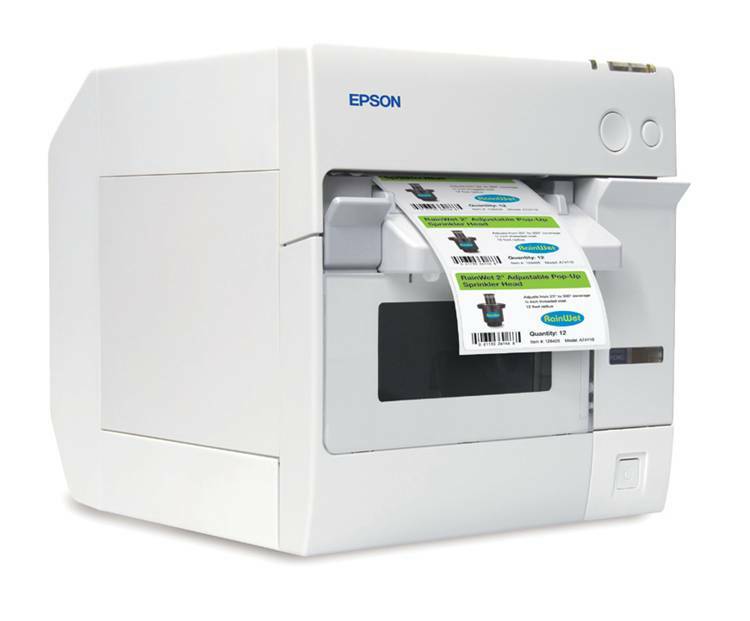 To produce the labels, the company purchased several TM-C3400 color label printers in 2010; and has been using them since. With the expected growth of this product line, the buyer sees the need to expand the production of their on-demand color labels. If you have customers who want to improve the look of their labels and packaging to position their products as “premium”, talk to them about using on-demand color labels. Second, I worked with a manufacturer of engineered flexible metal hose products for the industrial, commercial and residential markets. As a part of their manufacturing process, this company tracks the various metal alloys through the manufacturing process to provide raw material traceability. This tracking begins with the manufacturer providing material test reports; and is required as part of their ISO 9001 procedures. To track the alloys, this company labels every part based on the alley used in manufacturing. In the past, they used standard monochrome labels. To make tracking easier, the company is moving to a color based labeling system. “The TM-C3400 has enable us to print exactly the type of labels we need in our manufacturing process” according to the engineer deploying the new solution. “With these color on-demand labels, our associates will be able to locate exactly the material/parts required for each product, quickly, easily and without errors”. After this project is completed, the company plans to complete a second phase; using color to track completed products. This tracking builds on the material traceability and their ISO 9001 processes. When you speak with manufacturers, be sure to ask about how color can improve traceability in their operations. Third, I supported a manufacturer of riflescopes and sights for tactical and sporting applications. As a part of their new products, this company has developed a series of colored and lighted reticals. A reticle is a net of fine lines or fibers in the eyepiece of a sighting device, such as a scope. With these new products, the manufacturer decided to design labels that made it easier for retailer’s associates and customers to locate the exact product required on store shelves. These labels included an image of the color reticle and the company’s logo. If you have customers with a large number of SKU’s who have an image or use color somewhere on their labels, don’t let them purchase preprinted labels. Be sure to suggest they use on-demand color labels. I wish you could see the labels and pictures of these three companies. But hopefully, you will utilize their solutions to improve your business.